Gwyn first learned about manatees when she was 7 or 8 years old. “I thought they were adorable, and I have come to appreciate what wonderful creatures they are,” she said. 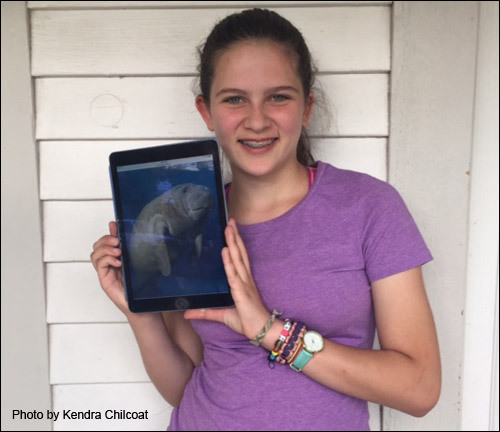 Gwyn believes anyone can get involved to help better the lives of manatees, no matter where they live. Note: A high resolution jpeg (300 dpi) of a manatee image, as well as a photo of Gwyn Chilcoat, are available upon request. At the top of many holiday wish lists is an adoption of a real living manatee. So those wondering how to get smiles of appreciation this festive season need only give a gift adoption of an endangered manatee from Save the Manatee Club. It costs an affordable $25 to Adopt-A-Manatee® from the Club. Funds help to improve the lives of manatees and to protect aquatic habitat. The package includes an adoption certificate, photo and biography of a real Florida manatee, a membership handbook filled with photos, facts, and information, as well as official newsletters throughout the year with updates on the adoptive manatees. New members who adopt at the $35 level will also receive Save the Manatee Club’s 2017 full-color wall calendar. Shipping is free within the United States. All the manatees up for adoption can be viewed on the Club’s website. 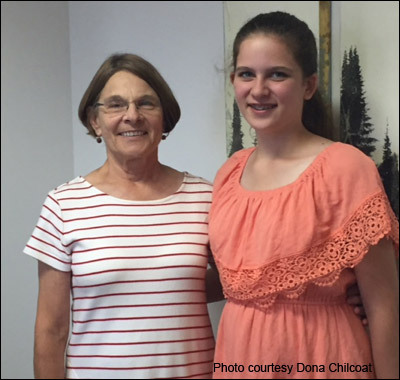 Gwyn’s grandmother, Dona Chilcoat, adopted Ginger for her from the Club’s Adopt-A-Manatee program. Save the Manatee Club was founded 35 years ago by Jimmy Buffett, the renowned singer/songwriter, and former Florida Governor and U.S. Senator, Bob Graham. The Club is an award-winning international nonprofit conservation and manatee welfare organization dedicated to ensure a long-term future for the endangered manatee and for Florida’s beleaguered aquatic ecosystems. Help the manatees by holiday shopping for tax-deductible manatee gift adoptions and impressive new merchandise from the Club’s Manatee Store. To adopt, call toll free at 1-800-432-JOIN (5646), or by visiting our Adopt-A-Manatee page at the web site. To shop for jewelry, books, clothing, calendars, and many more delightful holiday gift items, go to shopsavethemanatee.org.